For the first time since 1993, the Liberal Redskins win a Western Athletic Conference title by themselves. Last year the Redskins shared the WAC with Garden City and Dodge City. 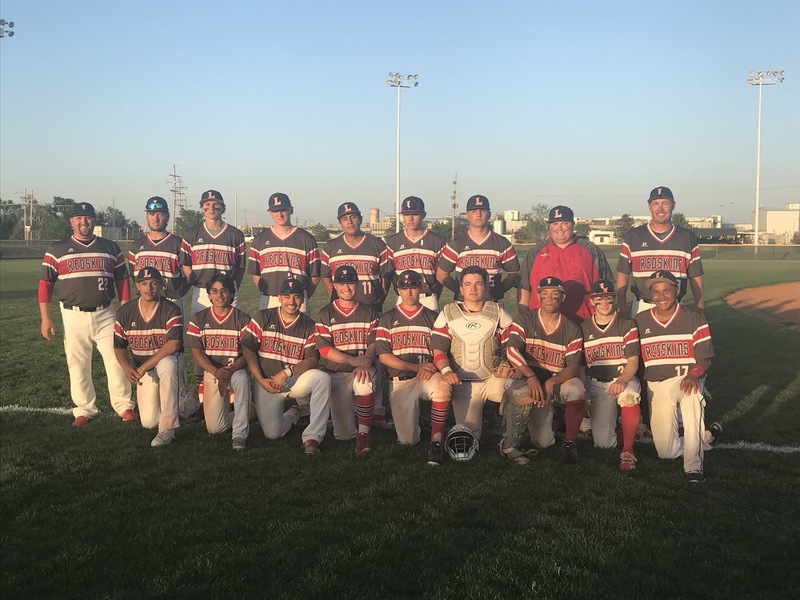 The Skins clinched the conference with a 4-2 win over the Garden City Buffaloes Tuesday night at the National Beef Family Sports Complex. Braxton Hyde became the first LHS pitcher since Jared Hasik in 2015 to win seven games. Hyde pitched the complete game with six strikeouts for the win. The Redskins scored one in the first when Dylan Thompson doubled to right and scored on an RBI single by Pancho Terrazas. Thompson’s two bagger was the game’s only extra base hit as the win was blowing in despite temperatures in the mid and upper 80’s. Liberal added two more in the second when Elijah McCarter singled home two runs. A double play on an attempted sacrifice fly to right prevented the Redskins from scoring more in the inning. The Buffaloes, who won two in Liberal last year, scored two in the third to make it 3-2. That scored stood until Syris Dunlap scored on a wild pitch for an insurance run. The Buffs loaded the bases in the seventh but a fly out to Dylan Thompson in foul ground in right field ended the game and the Redskins celebrated. It’s the school’s third WAC title in baseball (1993, 2017, and 2018). Garden City is 4-14 and finishes 2-6 in the WAC. The Redskins are 15-5 and finish 7-1 in the WAC. Liberal has increasing chances of hosting the regional next week as they sit tied for third and fourth with Maize South. The top four teams host. If Salina Central (13-5) sweeps Maize, there will be a three way tie for third, fourth, and fifth. The LHS games next week will air on 1270 and kscbnews.net.